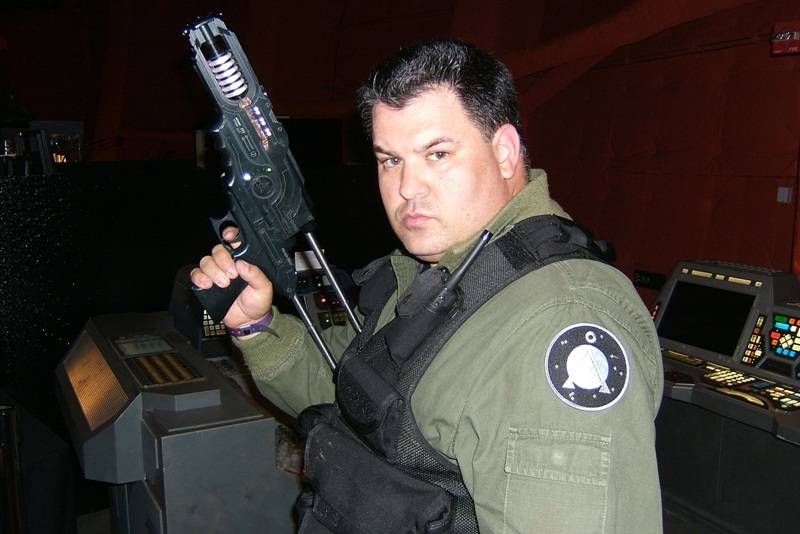 We are considered by many as the premier Stargate Prop & Costume provider in the world. We pride ourselves on screen accuracy and a level of customer service that is second to none. Many of our products are made-to-order and do take time, but rest assured you will always get your order in as timely of a manner as we can. Patches and in-stock items will often ship within only a few days, however LARGE full costume orders can take in range of 6-12 months for in-depth custom work or full out the box ready to wear costumes. If you have ANY questions please use the “Contact” tab in upper right hand of the menu and shoot us a message! NOTE with CHROME or some MOBILE browsers we are seeing the PAYPAL PAYMENT TAB not always working correctly due to browser. Please try to use a computer for placing orders! You can also email me directly if needed if it is not working correctly for you! (stitchsloft@AOL or GMAIL). We are pleased to be a fan based business and keep the passion and fun of being a true fan alive and well for the SciFi community. No copyright infringement is intended and is solely for screen accuracy for cosplay and promotion of these type of shows. Please check out my new You Tube Channel, please SUBSCRIBE and leave comments always looking to improve and get feedback or if there is something you want answered or to see? Stitch’s Loft You Tube Channel or click on the VLOG tab here on the site. Also see our “F.A.Q.” and “REVIEWS” tab for question and feedback from our customers! While we specialize in the Stargate Universe, please contact us if your needs are outside that genre. We often offer many custom made items for air-soft, paintball and custom tac-gear for police and law enforcement. We can even do custom embroidery or custom patches in cloth or leather! If you have the imagination more than likely we can make it a reality or point you in the right direction! See what professional projects we have been involved in and consultant on here! Costuming can get expensive so we understand that take look at our convenient Lay-A-Way Plans or take advantage of the Paypal Credit (formally called BILL ME LATER) Option of 6 months no interest or payments on purchases of $99.00 or more. For more info click the banner above for details on Paypals website. * USA ONLY customers only…Sorry! No worries you can still check out via Paypal with any Debt or CC click here for info! Below are some of our big sellers, to view the full range of products click the SHOP LOFT tab!